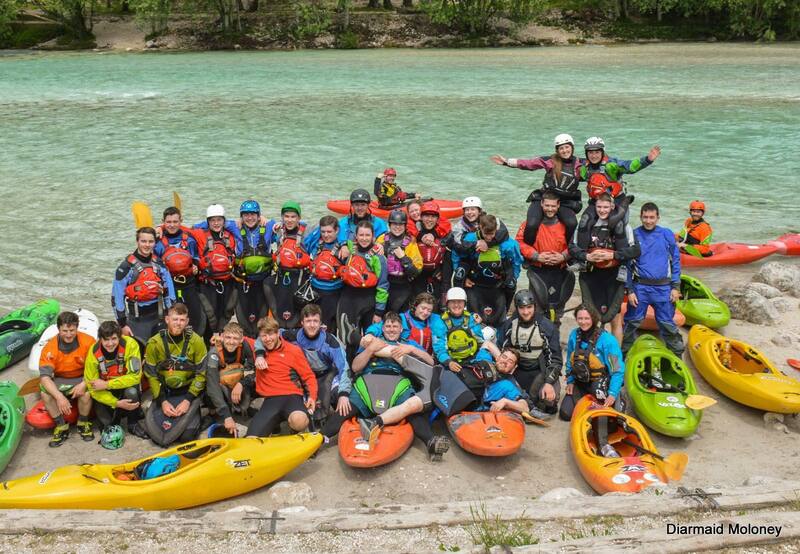 With the smell of freshly lit barbecues and people breaking out their summer wardrobes, a special kind of excitement fills the hearts of the members of the UL Kayak Club, as on the back of the summer breeze calls for what we have waited all year for; the annual Alps trip. 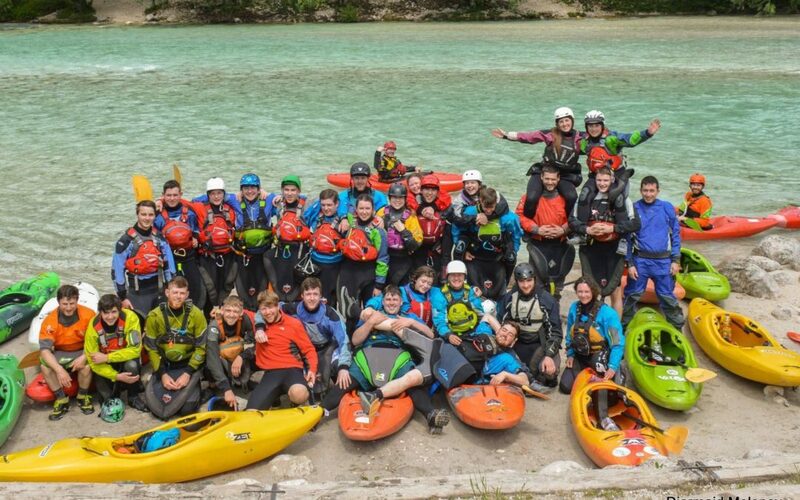 Three weeks spent driving, camping and kayaking through the gorgeous Slovenian and Italian Alps along with friends, gaining new experiences and creating memories that you will never forget; what’s not to get excited about? This trip is easily one of the most popular and enjoyed events that the club runs and overall, it’s just three straight weeks of paddling, craic and amazing experiences which is what the club was built to encompass. We always strive to improve in whatever aspect we can, from skills to safety and communication and through this trip we get the chance to improve overall while enjoying the backdrop of the unforgettable beauty of the Alps. Needless to say, a trip like this requires a serious level of preparation if one wants to feel their arms after a week. Therefore, while most students around this time spend their study breaks watching the new episode of Riverdale or going for lunch, you can instead find members of ULKC heading to the boathouse. If you’ve been down by the pontoon or have been down by our stretch of the Shannon lately, you may have heard the sound of questionably good music taste booming down the river. No, you’re not going crazy from exam stress, it’s simply nicer to paddle along to your favourite indie rock playlist than to have the only soundtrack to your workout be laboured breathing and the panicked sounds of those who looked at a swan the wrong way and really, really regrets it. So, if you spot any of us down on the river be sure to say hi! It makes us feel better to not have to try to awkwardly haul a boat out of the water with dead legs while silent strangers look on. At the end of all this preparation we do the only thing that can properly mark the beginning of such a trip; have a massive barbeque! Our annual Alps Barbeque officially marks the start of what we’ve been training for throughout the year and allows us to celebrate the end of another great semester with the club. This year it will also share this celebration with the Irish Cancer Society as we shave the heads of our volunteer members in support of the charity. We hope to share the experience with you as much as we can, so make sure to keep an eye on our social media to keep track of our adventures!